Each year the NGO Shipbreaking Platform collects data and publishes an annual list of ships dismantled worldwide. In 2017, 835 vessels were dismantled. 543 of these ships were sold for dirty and dangerous breaking on the beaches of South Asia. 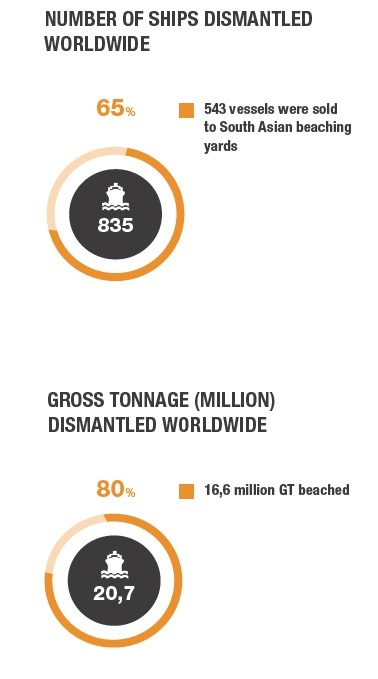 Whilst ship owners are increasingly portraying themselves as conscious of the problems caused by shipbreaking, the Bangladeshi beach in Chittagong – where environmental protection and worker safety are particularly scant– remained the preferred scrapping destination worldwide in terms of tonnage dismantled. Most vessels scrapped in 2017 were general cargo ships, followed by bulk carriers and container ships, oil and gas tankers, roll-on roll-offs, passenger vessels and oil platforms. 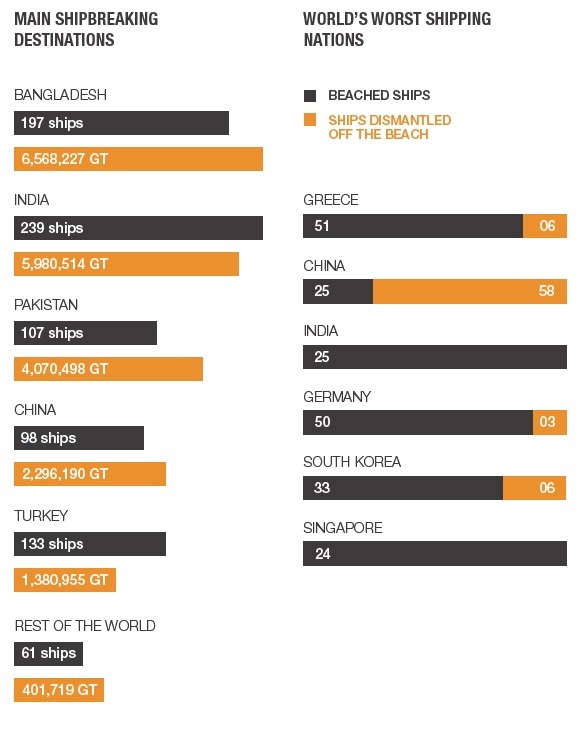 Looking at the size of vessels scrapped on the beaches of South Asia, Pakistan received the largest vessels followed by Bangladesh, while Indian yards scrapped more medium-sized ships. 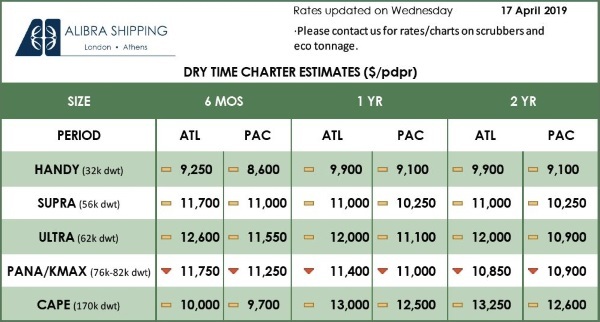 China and Turkey tend to recycle smaller vessels on average. Thus, the larger the vessel the more likely it is that it will end up on a beach in Pakistan or Bangladesh – where the conditions are known to be the worst. In 2017 the Pakistani government introduced a ban on the import of tankers after a sequence of disastrous explosions between the end of 2016 and beginning of 2017, resulting in about 30 workers losing their lives. As a result, there was an increase in the flux of tankers going for breaking in India. As in 2016, Germany and Greece top the list of country dumpers in 2017. German owners, including banks and ship funds, beached 50 vessels out of a total of 53 sold for demolition. Greek owners were responsible for the highest absolute number of ships sold to South Asian shipbreaking yards in 2017: 51 ships in total. Since the Platform’s first compilation of data in 2009, Greek shipping companies have unceasingly topped the list of owners that opt for dirty and dangerous shipbreaking. European ship owners, from the EU and EFTA states, are responsible for more than one third of all ships sold for breaking. The number of European-owned and/or European-flagged vessels dismantled in 2017 worldwide amounted to 260 ships: 181 of these ships, representing 70% of all European end-of-life ships, ended up on the beaches in either India, Pakistan or Bangladesh. 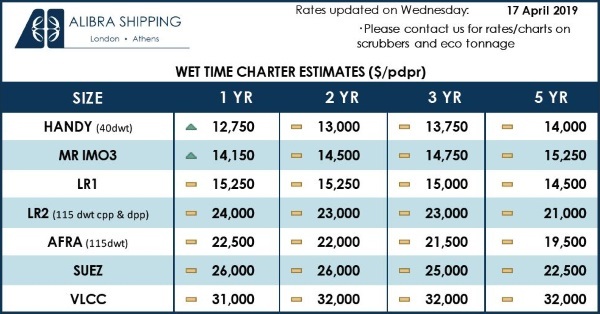 In terms of volume, European owners were responsible for around 40% of the total tonnage scrapped on South Asian beaches. It is clear that the European fleet follows the trends of previous years and continues to be predominantly broken using the most unsustainable recycling method. Out of the 181 European vessels that were beached, only 18 were still sailing under a European flag during the last voyage. 24 vessels that had otherwise been operating under a European flag, swapped flag to a non-EU flag of convenience just weeks before hitting the beach. The most popular end-oflife flags for vessels scrapped on the beaches in 2017 were Panama, Comoros, St Kitts and Nevis, Palau, Liberia and Togo. Palau, St Kitts and Nevis and Comoros are flags that are almost exclusively used by cash buyers at end-of-life, and in 2017 Comoros hit a new record as it held first position as a beaching flag together with the more widely used flag of Panama.